I have my health coverage... Now what? The main reason someone walks through our door is for assistance with a health coverage application, but at the WHP we make it a priority to do much more. By the time you leave our office, we hope you find yourself with a greater understanding of the ACA and the rules of the program we applied for. Providing this education lets each person take power of their coverage and they can then help us disseminate accurate information throughout the community. For those applying for Medicaid we pass out a form (What You Need to Know About Medicaid), which lists next steps for the application process, like turning in verification documents and choosing a health plan. Keep in mind that the health plans are specific to each county. What is a deductible? Does my doctor take this insurance? See Health Insurance 101 for key words we explain as we fill out a Marketplace application, and watch the video below for a great visual presentation by the Kaiser Family Foundation! 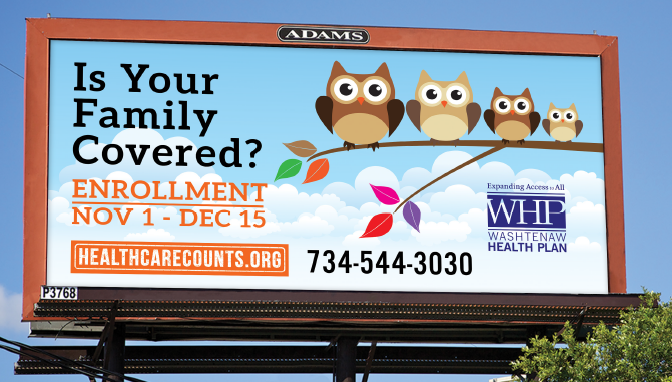 If you have a question about your health coverage- leave us a comment below, give us a call at (734)544-3030 or stop in to the WHP Monday-Friday, 9am-4pm.